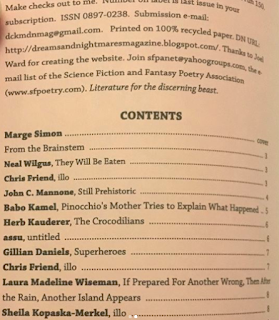 Dreams & Nightmares sent me a review copy of the issue that has published my poem, "Superheroes." 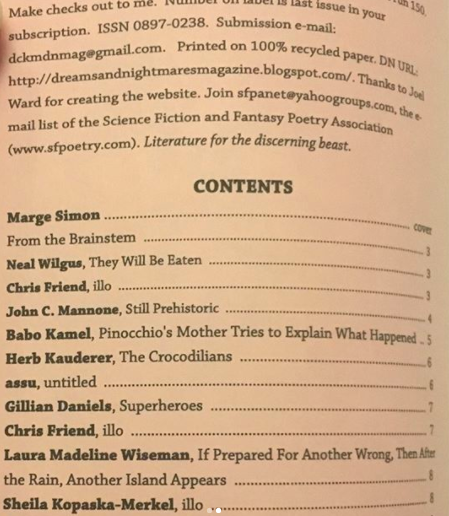 Many thanks to editor David C. Kopaska-Merkel for grabbing up this one. 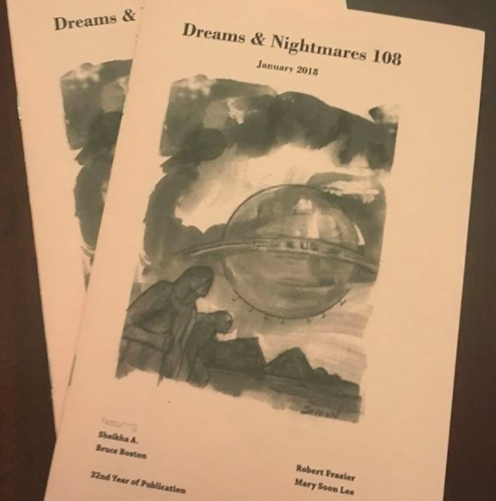 In Boston, I recently joined a playwriting group focused on writing science-based plays. The first challenge I've participated in is to write a play based on a variable of the Drake Equation, which estimates the likelihood of encountering and communicating with extraterrestrial life. We're now hosting public readings for the Drake Equation plays over at Central Square Theater. The first play reading will be on April 21st and the second on April 28th. If you can make it, I hope to see you there. If not, I'm hoping to be a part of similar projects in the not-so-distant future. Much like last year, I'm participating in a write-a-poem-a-day-for-Lent challenge. I'm hoping to generate new material from it and have already been able to generate more ideas for my prose work.